Drivers Unlimited helps you arrive at the Newark airport without the stress or hassle of doing it yourself. Take a limo to Newark and arrive safely and on-time. For many years now Drivers Unlimited has been providing second to none Newark Airport transportation service to clients in Fairfield County Connecticut and Westchester New York. Inside the terminal on a domestic flight your chauffeur will meet you in the baggage claim area. Inside the terminal on an international flight your chauffeur will meet you outside of customs. 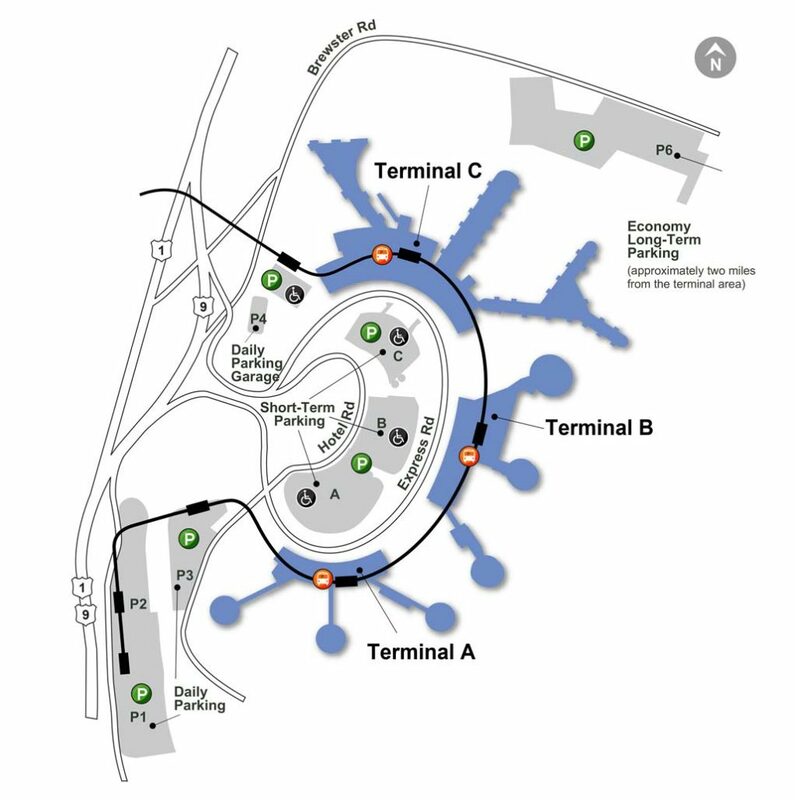 For an express pick up outside the terminal your car and chauffeur will meet you upstairs on the departure level. For express pick-ups outside the terminal please meet your car and chauffeur upstairs on the departures level at the far end. For express pick ups outside the terminal please meet your car and chauffeur at the international departures level which is the upper (3rd) level. Our professional chauffeurs are determined to make your journey to and from the airport the most relaxed and convenient one possible. The next time you have to fly out of Newark (or return home from EWR) we invite you to experience the “red hat” difference. We stress the importance of providing you dependable, reliable and on-time limo services. Our dedicated team of experienced transportation experts all work towards the same common goal – making your journey to and from Newark airport prompt and efficient. From the moment you contact Drivers Unlimited until we safely drop you off or pick you up from Newark Airport, we work in the background to ensure a prompt arrival. Our dedicated staff monitors all flight times, taking note of any aircraft delays so that we can efficiently re-schedule your pick-up if necessary. Our team will also take into consideration weather conditions, traffic and allow for any other unforeseen circumstances that can cause disruptions to your aircraft’s arrival time. When you pre-arrange your ground transportation with Drivers Unlimited, select an airport car service from our wide range of top-notch vehicles and leave the rest to us. Our chauffeurs will treat you with utmost courtesy and ensure your safety and comfort at all times. With their extensive knowledge of the greater New York area we promise to pick you up on time and get you to Newark Airport in no time. We stand behind our brand and invite you to experience our EWR Limousine Service for yourself. We trust that our vehicles will provide much needed rest before or after your flight. With plenty of room to stretch your feet, plush leather seating and world-class equipment on-board, your transportation to and from EWR will be an experience of its own class.